Show some school spirit and keep track of keys at the same time! 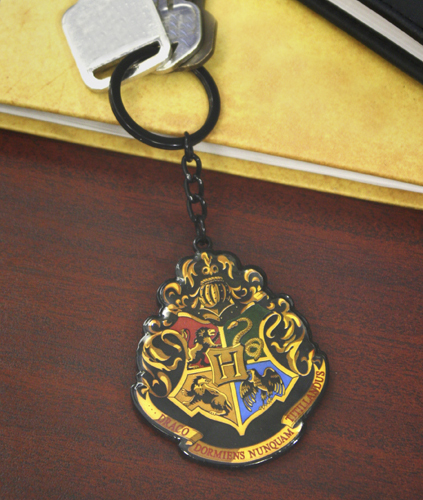 This metal and epoxy keychain from Harry Potter features the Hogwarts school crest and motto. Keychain is about 4.25″ long; crest measures 2 x 2.25″.